Anthony Colonnese, Ameresco’s vice president – energy security solutions, describes the evolution of Ameresco’s microgrid business strategy — from energy efficiency to today’s battery storage advances. Energy efficiency was front and center when the Ameresco team first began carrying out projects for the US government and military over seventeen years ago. We continue to serve these customers today, but find ourselves addressing additional priorities. Energy security, energy resilience and reducing emissions have risen to the top of the agenda. In the early 2000’s, Ameresco worked closely with customers to deploy combined heat and power (CHP) and other state-of-the-art power technology and energy management systems. When distributed solar, landfill gas-to-energy, and other renewable energy systems began to prove themselves, Ameresco started capitalizing on those technologies. Now Ameresco is advancing these resources, as well as deploying distributed battery energy storage and advanced microgrid control systems for military, government and private sector customers. The demand for battery energy storage, distributed renewable and hybrid microgrids is growing. These technologies, and the regulatory market mechanisms required to foster investment in them, are still at a fledgling stage of development. 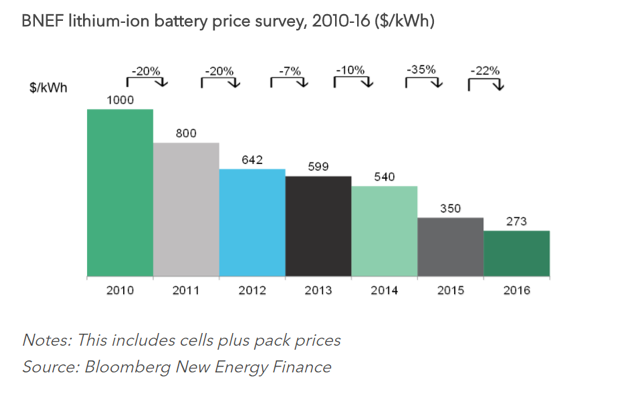 Our reading of the overall market leads us to believe that costs will continue to fall, following a downward trajectory along the lines of distributed solar energy. Even so, substantial risks and obstacles remain, as these technologies and markets are in a state of flux. Lithium Ion (Li-ion) and other alternative battery storage chemistry and systems (e.g. flow batteries and advanced lead-acid batteries), continue to evolve. Over time, some touted benefits may never materialize and certain technologies ultimately may be left by the wayside due to industry changes or other market influences. That raises the level of uncertainty and risk associated with making long-term capital investments. Uncertainty and risk also pertains to battery energy storage and microgrid vendors. While it is challenging to make long-term capital investment decisions, given that forecasts offer a range of critical variables and uncertainties, there is an added challenge given vendors are entering or exiting the markets regularly. We believe it could be years before we see the market stabilize. At the end of the day, we will embrace the surge in demand for battery energy storage, microgrid investment and project development. Ameresco provides comprehensive energy solutions to support our customers’ requirements, and microgrid-storage solutions have evolved as an important piece of our business strategy. We continue to invest capital, deep technical expertise, and other resources to provide innovative solutions and significant added-value for our customers. Here are a few examples that illustrate the success to date of our battery energy storage and microgrid business strategy. Ameresco recently broke ground on a 6 MW natural gas-fired power system at the Philadelphia Navy Yard, the site where the US Navy was born, which is now a mixed-use commercial, industrial and government facility. This project is a bit unusual in that it is centered on a ‘behind-the-meter’ peaker power plant. 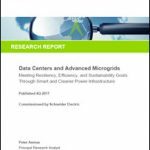 It illustrates how microgrid economics are improving, even for projects that traditionally have been challenging to justify financially, such as on-site power generation dedicated solely to meeting periods of peak demand. This landmark project is precedent-setting in other ways too. It serves as the core of an envisaged 35 MW hybrid microgrid that will incorporate intelligent CHP, Li-ion battery energy storage and community solar power. An advanced microgrid controller and energy management platform will manage the resources. 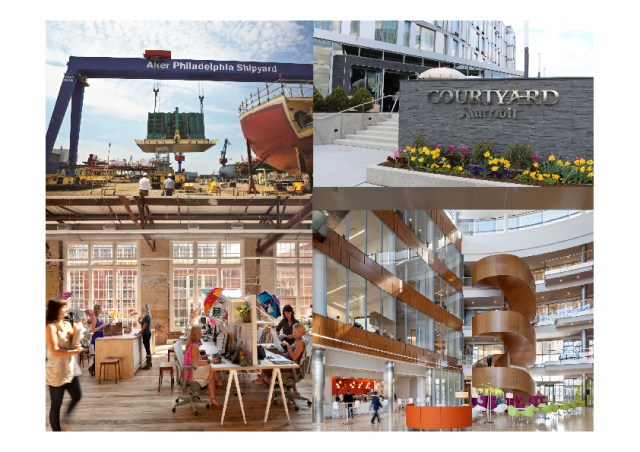 The platform is designed to evolve in parallel with the Philadelphia Navy Yard Master Energy Plan. Years ago, before wide use of distributed renewable energy resources, Ameresco deployed a 10 MW CHP system at the Portsmouth Naval Shipyard in Kittery, Maine. The shipyard consumed 16 MW of peak electrical demand on average daily. With the addition of the CHP plant, the facility required only 6 MW of imported utility power. Unfortunately, when a grid outage occurred, the on-site generation capacity proved of little use. Faced with a power draw of 16 MW, the 10 MW CHP turbine would automatically trip and shutdown, leaving the entire facility dark. 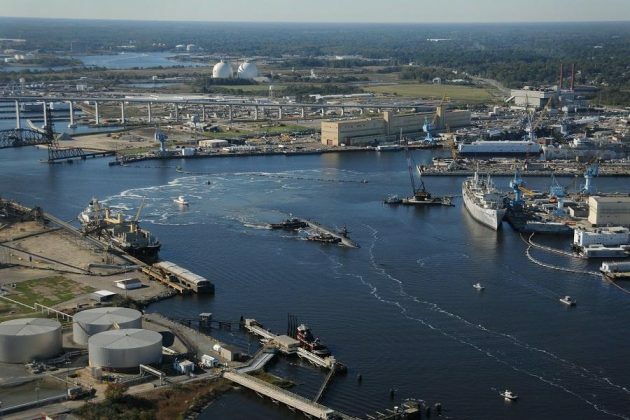 Ameresco returned to the Portsmouth Naval Shipyard about three years ago and began working closely with facility staff to deploy an advanced microgrid control system. This fast-load shed (FLS) demand response platform constantly monitors and analyzes loads and overall power and energy conditions throughout the facility. Critical, essential loads have been identified, so that now, when a grid outage occurs, non-essential loads are shut down in progression, starting with the lowest-priority loads, down to 10 MW. As a result, the CHP turbine does not trip and the CHP plant is able to continue supplying 10 MW of power to keep the lights on and the naval shipyard’s essential systems and services up and running. The GSA, an independent government organization responsible for fiscal administration of all federal US government agencies, plays a key role in managing facilities that collectively consume more energy than any other organization in the US. It includes GSA properties in California, one of which provides an excellent example of how distributed battery energy storage and microgrids can deliver valuable energy grid services. Peak-period utility demand charges in California are among the highest in the nation. Ameresco is installing an intelligent Li-ion battery energy storage and advanced energy control and management system onsite at the GSA facility. Throughout the course of the days and months, this advanced battery energy storage platform will monitor and analyze energy use and battery energy storage and dispatch to ensure that the facility’s utility bills do not exceed monthly caps on peak-period demand charges. This will enable leaner, more efficient government facilities and services. These are just a few illustrations of innovative battery energy storage and microgrid business strategies and technology. We anticipate that use of these technologies will continue to grow in coming years, gaining momentum and yielding broad-based socioeconomic and environmental benefits for our customers and society. Anthony Colonnese is Ameresco’s vice president – energy security solutions.